As we all know that funding is a major part of the startups. Every now and then we hear one or the other startup raising funds for expansion or various other purposes. So, every week we come up with the top five funding activities of the week that took place in the startup world. This week was also quite active in terms of funding activities and the company that raised the maximum amount of funds was financial research platform Sentieo that raised an amount of $19 million. A pet care grooming startup called Captain Zack has raised an amount of $1.5 million in Pre-Series A round. The particular funding round was led by industrialists Kushal Desai and Chaitanya Desai through their family office. The company is owned by EM Personal Care and is based out of Mumbai. It is planning to use the funds raised in this round in marketing and brand awareness. 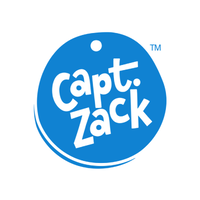 The funding will be primarily used for Captain Zack, however, part of it will also be used for Coccoon which the other brand owned by EM Personal Care. Germany-based startup Unu has secured an amount of $12 million in a financing round. This particular round was led by Ponooc. The round also saw participation from existing backers like Capnamic Ventures, Iris Capital, Michael Baum and NRW.BANK. With this, the company is planning to to release a second generation of its product, however, it hasn’t disclosed much yet. 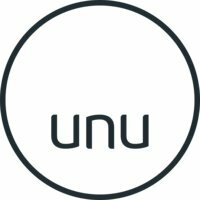 Unu is working on connected vehicles so that Unu could work with scooter-sharing services. The company is basically concerned with been building electric scooters and is working on new products and services. For the past five years, Unu has sold 10,000 scooters. The company is one of the most popular and successful European manufacturers of electric vehicles with Govecs, BMW and others. A Singapore-based AI company AnyMind Group has secured funds amounting to $13.4 million in a funding round. This round was led by Line, the Japanese messaging app firm, and Mirai Creation Fund, which is backed by Toyota among others. The company that uses AI in online advertising, HR and marketing is planning to use these funds for its growth in Japan and other Asian markets. Other backers such as JAFCO and Dream Incubator also took part in this round. Founded in April 2016 by Kosuke Sogo and Otohiko Kozutsumi the company claims to be profitable since early 2017. It said total revenue for 2017 was $26 million, up from $12.9 million one year previous. Financial research platform Sentieo that is based in San Francisco and Delhi has secured funds amounting to $19 million (about Rs 140 crore) in its Series A round of equity funding. This particular funding round was led by growth equity firm Centana Growth Partners. Along with this, the three-year-old company counts a host of leading corporate executives and investment managers among its backers. The company’s existing investors also participated in this round. The company is planning to use the funds so raised to expand global growth as well as towards product development. Prior to this, the company raised $6 million in a round led by Clocktower Ventures and Long Focus Capital seven months ago.